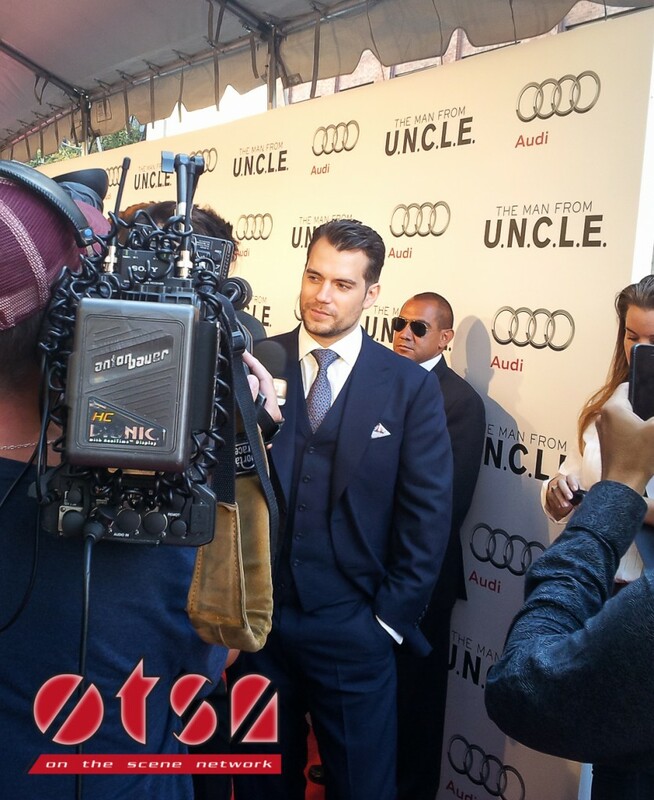 The Canadian Premiere of The Man from U.N.C.L.E. 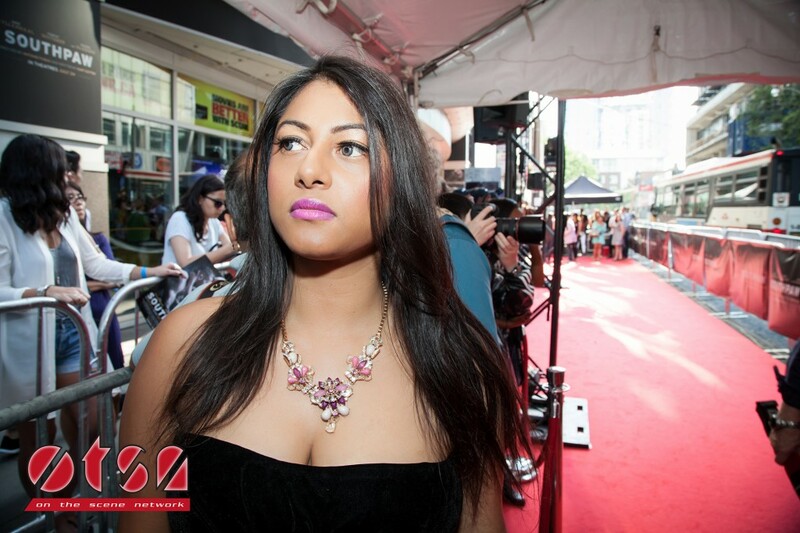 Canadian fans lined up by the red carpet at Scotiabank Theatre in Toronto last night to catch a peek of the stunning stars of The Man from U.N.C.L.E.’s exclusive debut and oh what a gorgeous screening it was! It’s a bird…it’s a plane…it’s Superman! Yes you read write, the extremely captivating cast of The Man from U.N.C.L.E. consists of the chiseled Man of Steel himself, Henry Cavill, aka Superman…my superhero…*sigh! 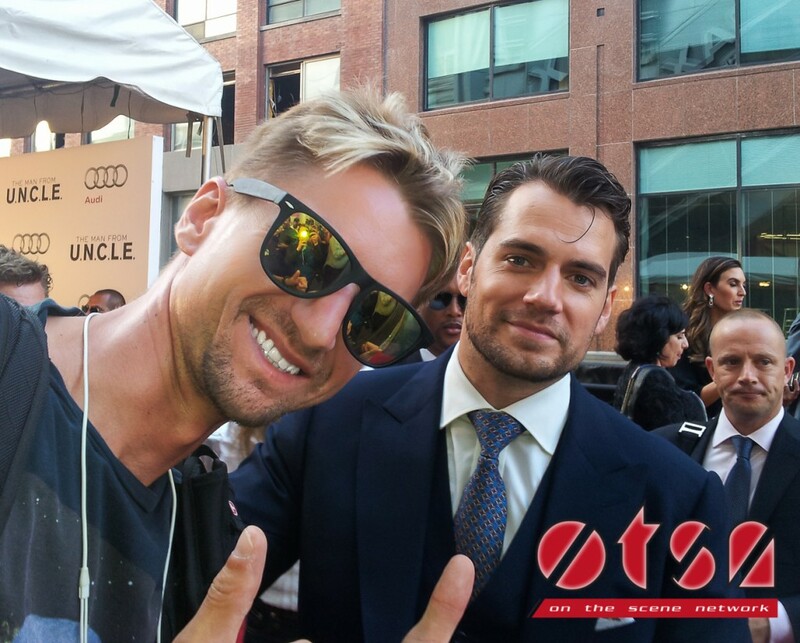 * Cavill stars as Napoleon Solo along with the equally handsome and talented Arnie Hammer from The Social Network as Illya Kuryakin. The pair looked absolutely dapper talking pictures on the red carpet in their tailored suits alongside their stunning co-stars, Alicia Vikander and Elizabeth Debicki. If the name of the film sounds familiar it’s because it’s a reboot of the well-known 1960s television series with the same name. The Man from U.N.C.L.E. takes place at the height of the Cold War and centers on U.N.C.L.E (United Network Command for Law and Enforcement) agents, CIA agent Solo and KGB agent Kuryakin. The two are forced to team up on a joint mission, despite their longstanding conflict, in order to stop a mysterious international criminal organization, which is working to proliferate nuclear weapons. The duo must race against time to prevent a worldwide disaster and their only lead is the daughter of a vanished German scientist who is their key to penetrate the criminal organization. The Man from U.N.C.L.E also stars Alicia Vikander from Anna Karenina, Elizabeth Debicki from The Great Gatsby, with Jared Harris from Sherlock Holmes: Game of Shadows, and Hugh Grant as Waverly. The screenplay was written by Guy Ritchie and Lionel Wigram and directed by Guy Ritchie. The Man from U.N.C.L.E. is said to be chic, stylish, comedic and filled with action. The film will be released on August 14, 2015. Photography by Kopet A. exclusively for On The Scene Network. 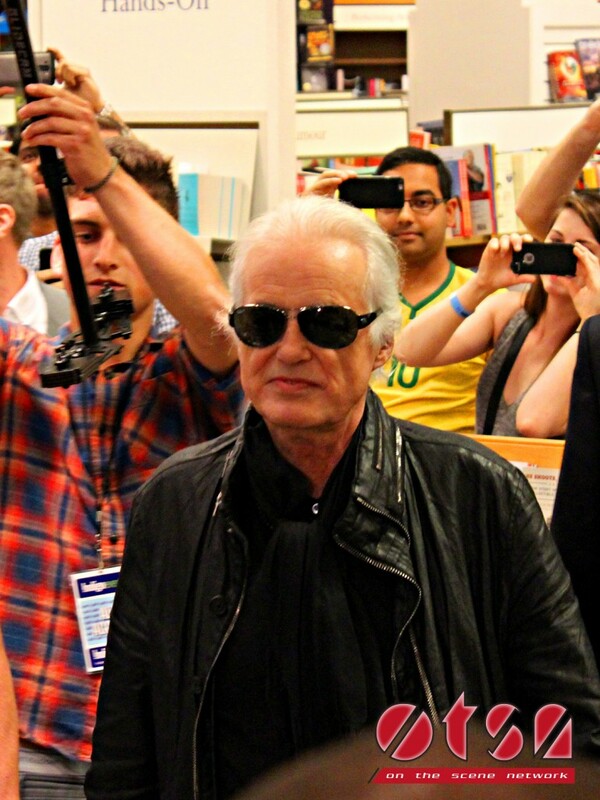 Indigo Books & Music Inc. were thrilled to welcome one of the world’s most legendary guitar players, Jimmy Page. 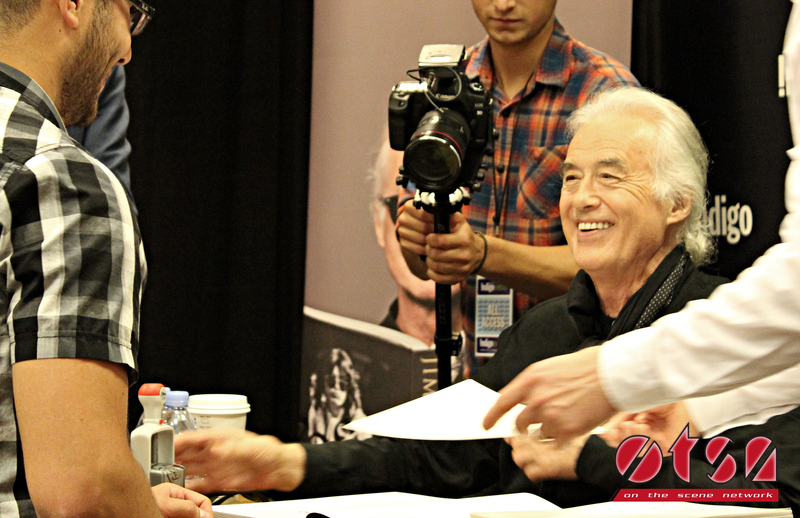 James Patrick “Jimmy” Page himself appeared at the Indigo Bay & Bloor location in Toronto on July 21st between 3:00pm - 4:30pm to personally greet his fans and stamp copies of his new book creatively entitled Jimmy Page by Jimmy Page. The photographic autobiography is an exploration into the English musicians career and is considered a visual record of his outstanding life in the world of music. Page’s autobiography, also considered a historical document, includes hundreds of archived and unseen photographs and detailed captions all of which represent an iconic moment in his career. Page began his career as a studio session musician in London, England and by the mid-1960’s, he had become the most popular and ultimately the most sought-after guitarist in England. Jimmy was a member of the Yardbirds and in 1968 he founded Led Zeppelin and is widely known as the guitarist and leader of the rock band. A man of many remarkable talents in addition to his fame as a guitarist, Jimmy Page has also achieved success as a songwriter, a multi-instrumentalist and record producer. 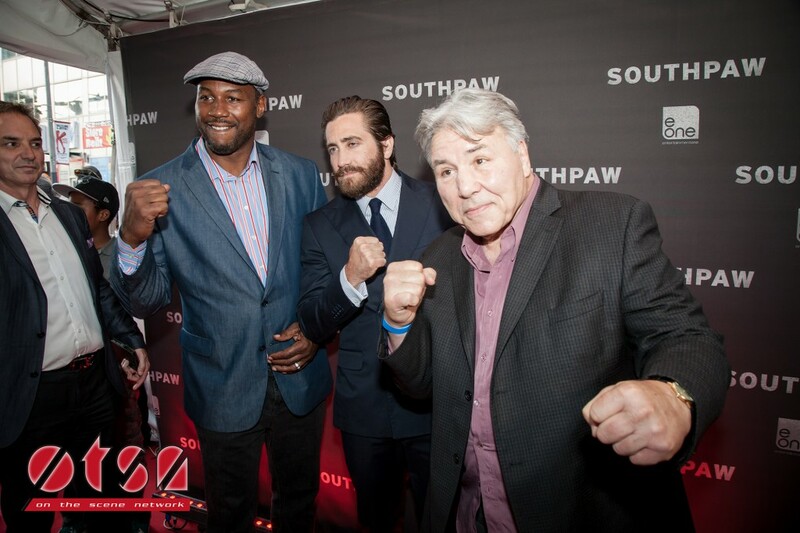 On The Scene Network (OTSN) covered the Canadian premiere of SOUTHPAW hosted by E One Films (Thursday July 9th). Jake Gyllenhaal & Rachel McAdams hit the red carpet causing a media frenzy. The movie is about a fallen boxer (Jake Gyllenhaal) who in the face of tragedy must win back his crown and daughter. The movie is directed by Antoine Fuqua of Training Day Fame and is expected to release on July 24th 2015.